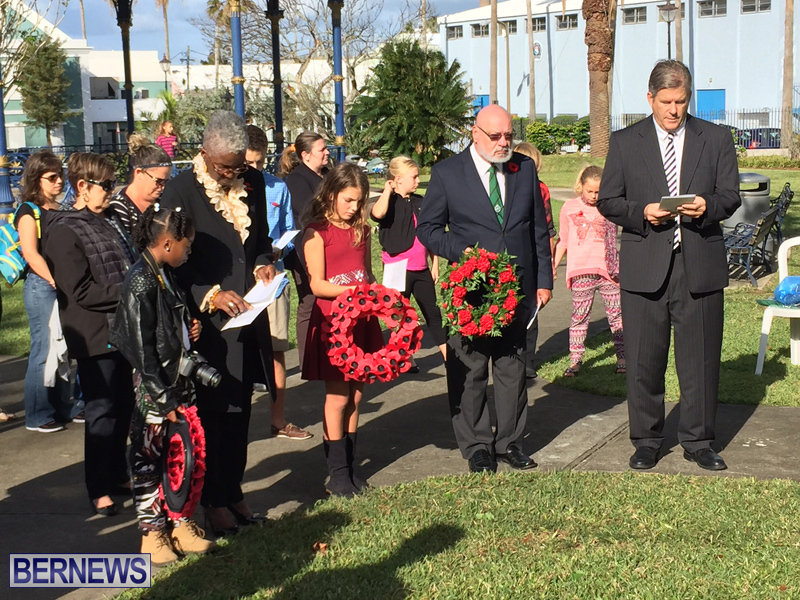 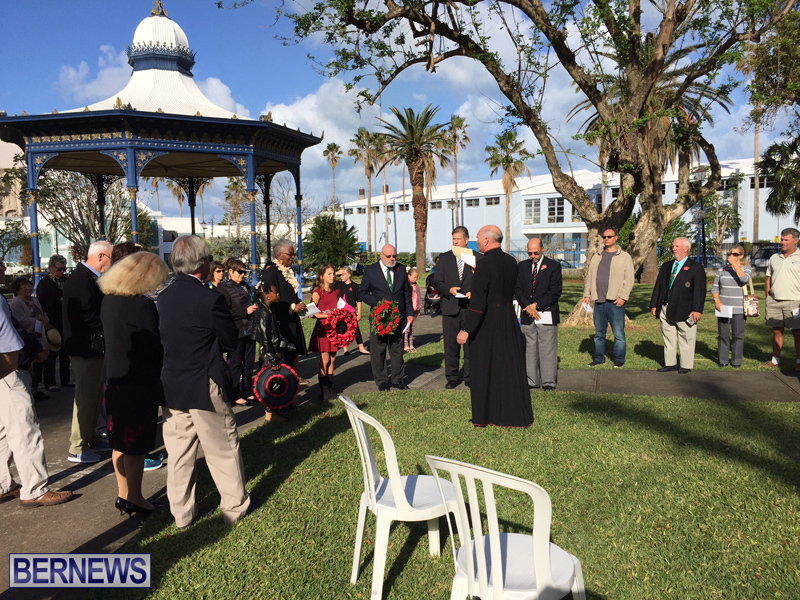 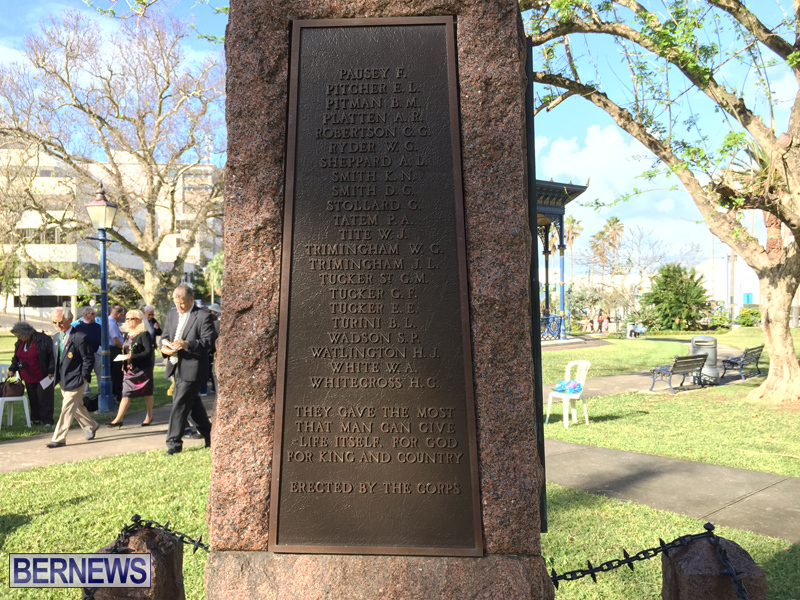 People gathered in Victoria Park this morning [Nov 11] to hold a Remembrance Service to honour the men of the Bermuda Volunteer Rifle Corps [BVRC], who served and died overseas in World War l [1914 -1918] and World War ll [1939 – 1945]. 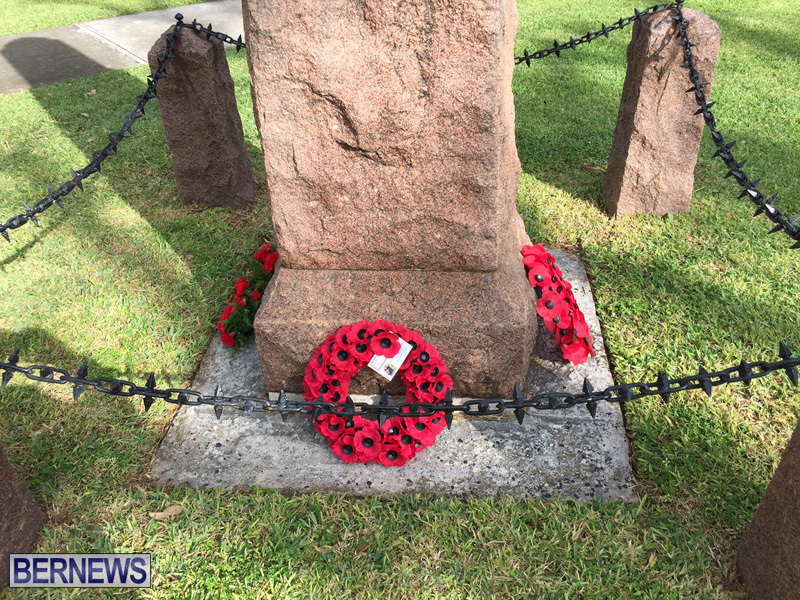 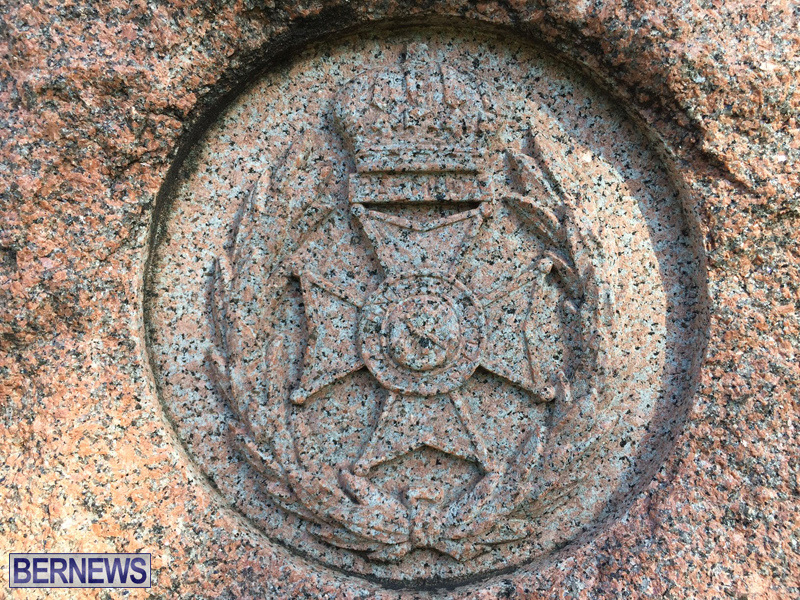 Victoria Park is home to the bronze granite memorial to the 40 men who died in WWI, and all the names of the men who died in WWI and WWII were read out. 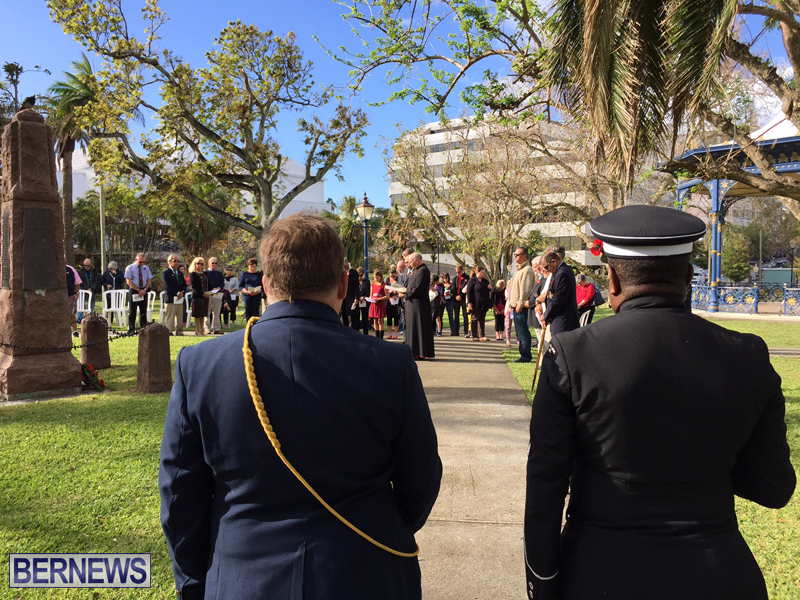 This service is held annually and is organised by the BVRC Association. 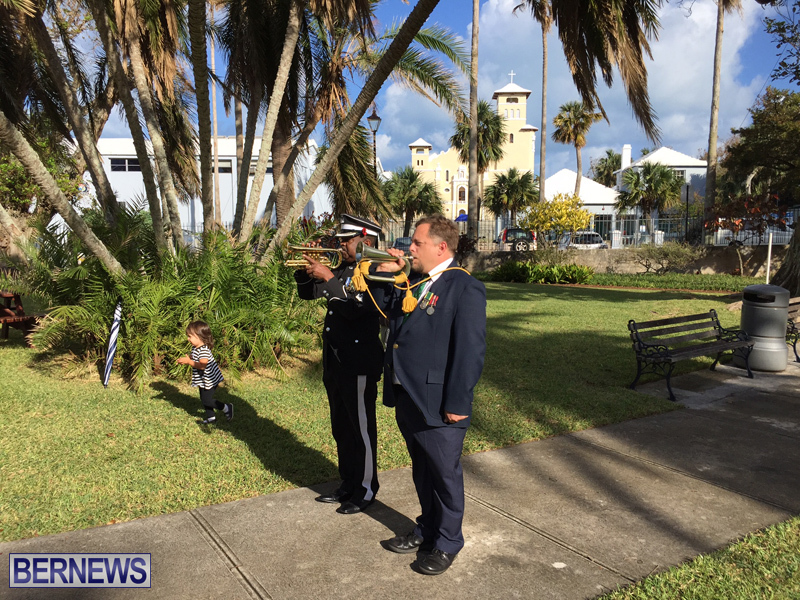 As occurs in the national ceremony at the Cenotaph on Front Street which will be held later this morning, the Last Post and Reveille are blown by buglers and the traditional Two Minute Silence is observed.